I’m into Year Two (of two) leading digital strategy for the K-12 system here in PEI. I landed in a wonderful situation where almost all the hardware (computers and wires) system-wide had just been replaced when I arrived, and where the educators and curriculum/governance people involved are interested in having conversations about a way forward. But we want a way forward for everyone. How do we make a plan that is inclusive, that develops web literacy and helps support our learners becoming good digital citizens? I’ve become really interested in trying to build some key strategies into the process to help everyone succeed. This is where that thinking is at now. Year One was mostly about setting the stage for change. This one is first because it’s the most important. We need to understand what literacies we need to be good members of our society in a world that has the internet in it. The internet can give us access to wonderful things, and it also contains piles of people who are purposely trying to mislead us so they can make money off of ads. The internet has entertainment for us and also has terrifying Peppa Pig videos. I would love to be part of a society where each individual is trying to make good choices based on their values and not on fears stoked by some kid in Veles. For so many reasons. Once we start talking about technology, the idea of gender equality inevitably comes up. And it should. Our numbers around tech and girls are still not great and there is still way more work to be done. But there are lots of other issues in here as well. Technology (as its often taught) favours the autodidact. It also favours people who have certain kinds of support at home, whether it be access to tech or the habits that are privileged by our education system. I have seen countless folks over the years, big and small, who come to this work with a great deal of fear. I like to think that I have helped some of them succeed through that, but how do you plan that for a system? I could call this a lot of different things, but lets just say that it’s the ‘we all need to be coders because coding is the future’ argument. The idea that the purpose of this technology is somehow that we are all going to make millions or have nice cushy jobs pushing the world through its fourth revolution. Go and read Hack Education. It’s amazing and will cover these issues way better than I can. Suffice it to say there are more reasons to work on internet things than coding. Coding isn’t bad… it’s just not some panacea that will save the children. Well… it is. I have no interest in taking something like an Arduino, or blogging or web literacy and breaking it into tiny bits that will slowly combine over 13 years in our education system. I want each interaction with this stuff to be meaningful, so that means it’s going to be hard to do. I’m not terribly worried about that. Kids are actually quite smart if you let them be. But it’s important always to remember that this stuff can be difficult technically, socially and emotionally. My solution to address this has developed over 15 years. 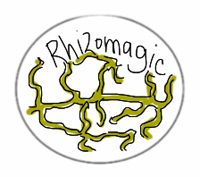 Much of it comes from my experience working with the concepts around rhizomatic learning and watching people struggle to come-to-know using the rhizomatic approach. My approach is based in hundreds of conversations with educators, research I did for Academic Planning at UPEI two years ago, researchy stuff and lots of time spent staring out the window. Nothing has had a bigger impact of my professional career than learning how manage a project properly. I certainly wouldn’t claim that I have fully reached that goal, but it’s something I’m working on constantly. I’ve learned to ask questions like: What is the real goal we’re working on? What change are we trying to make in the world? What objectives will tell me that I’m getting there? What strategies will I use? Who will do the actions? When? I’d like to see these concepts applied constantly to our work around tech. We do…kinda. What I’m hoping to encourage (I don’t write the curriculum, I’m working with the people who do) is that we standardize the language around project management and the literacies required. We can use it with 7 year old and with 17 year olds. Imagine a school system graduating people that could directly go into the workforce with strong project management skills. Forget about the workforce. Just imagine how much easier it would be for them to plan a weekend party. Some people seem to come out of the womb with these skills. I am one of the legion that did not. I’ve waffled on what to call this. I started out by calling it resilience… but I’m finding that I don’t like the connotations sometimes attached to this. Resilience also, to me, suggests that growth as a human is somehow just about sucking it up and trying harder. That’s not what I mean here. I’m talking more about that reflection that allows you to process your feelings when you’re working. The pressure of idea generation. The frustration when something doesn’t work. That feeling you’re falling behind. What do we do about those things? Is it really about just trying harder? I’ve been walking around with an Arduino kit in my backpack and doing a little test with it. I’ve been putting it in front of people, opening it up and asking them how it makes them feel. Some people say they are really excited by it. Most are not. The majority of the response I get sits somewhere between revulsion and fear. That kind of response doesn’t encourage learning. How do we build supports to work and talk our way through those feelings, as learners of whatever age? How do we encourage the kind of reflection that allows people to ‘succeed’ AND feel supported and good about themselves in the process? I think both approaches get stronger when you think of them as a team. Some learners will certainly favour one approach over the other – but I’m fine with that. Structured conversations about what your goal looks like and how to create a timeline are going to keep people on task and give them success milestones. Reflecting on your feelings in that process – “What did you do when you felt like you were lost in the process?” “How did you deal with having too many ideas (or none)?” and, eventually, “How did your idea generation impact your project charter? Did you have to change your timelines?” is important too. I would love to see us focus our assessment on these two things. I don’t particularly care if your tech project is perfect, or all the lights blink or whatever… what I care about is how much you’ve grown through that process. Did you develop your search literacies when you got stuck? Did you hit your timelines? Did your goal change as you learned more about the process? I’m not 100% convinced that this needs to stop at digital. I can totally see it applied in the exact same way to a science project or an essay. Imagine if we focused all the project work we work around those two pieces? If we all used the same language, and pulled together towards preparing our kids to have healthy approaches to running projects? OERs shining light, new textbook model, or harbinger of a new imperialism. What are OERs good for? When are they a good thing? Could they be a bad thing? Sacrilege? Perhaps… so lets take our time and develop out this idea properly. First we’ll talk a bit about different kinds of knowledge and which ones are well suited to prescripted ideas of content, then we’ll move on to a consideration of how OERs can be imperialistic and, finally, on to some considerations of OERs and scale. For those of you who’ve ever heard George siemens and I at the same event, our discussions inevitably descend into the same area… about ‘truth’ and more recently the ‘advancement of knowledge’. (This is an eluminate discussion of same) I’ve been particularly concerned that George’s examples of what he calls knowledge are often in the STEM realm (science, technology, engineering and math) and involve people building planes that don’t fall out of the sky. I am a very, very strong proponent of very stringent approaches to building airplanes, and, while I accept that people can have ‘airplane building communities’ I have no interest in the teaching of airplane building being a choose your own adventure. There are, in much of the STEM realm, clearly identifyable things that are WRONG. Airplane falls out of sky. Hadron collider heating up. Bridge falling down. (seems to be alot of falling here) But you see what I mean… these are things that we can all pull out a finger and point at and go BAD. Let’s call this straight knowledge. Straight knowledge, in George’s sense can ‘advance’. Stronger bridges, faster airplanes. This is not true for what most of us call learning. (i have no research to support this, this is an intuition, that’s why I’m writing it in my blog… if you have this research, I would be very grateful) The vast majority of the things we learn are more subtle than this, have multiple possible solutions and no real ‘wrong ways’ of turning. They involve people’s feelings, their histories, their individual goals, the different ways their brains might work… all things that no group of experts would ever actually agree on. It is for this realm of ideas that ‘rhizomatic education’ was intended. A group of staff members trying to learn new ways to make their company more efficient. A group of 12 year olds trying to connect to history. A community of educators trying to come to grips with how new technologies can and have changed their profession and how they can make the best of it. These are the kinds of situations where I’ve used the idea of a community coming together to create it’s own knowledge. They can’t be ‘WRONG’ in the sense that a bridge falling down is wrong. Some of the content can be wrong, they might have misunderstood what someone in their office does, they might have gotten the date of the Boston Massacre wrong (I know you’re out there John Mullaney) or used a fake email address when they registered for delicious and then forgot their password… but their goals – better working environment – connecting to history – empowerement with the technology – were still achieved. These things are the knowledge, the jobs, dates and passwords are simply the content… things that could be jotted down, or googled for when needed but not really the thing they are there to learn. For these people the community, the feeling of using a community to learn… this was the real curriculum. Let’s call this curvy knowledge. Curvy knowledge does not ‘advance’, it changes… there is no ‘linear existance’ for it to follow. Hold on a second… I thought you were talking about OERs… do you even know what one is? I know what Seth Gurrell thinks one is, and I’ll take his definition. He works for COSL (the Center for Open and Sustainable learning) and it is this username (and presumably person) that wrote the definition of OERs used on the Wikieducator site. growing open education as a field and a movement. Other definitions could be found, and hairs could be split, but essentially we have three big words. Open. Educational. Resources. There are some things implicit in these words that are will bear a couple of words. By Open we mean available with or without copyrights (there seems to be some disagreement about this…) lets call it viewable by anyone to dodge that bullet. Educational means that whatever knowledge may or may not be lurking in the content it has been processed by someone – a professor, an instructional designer, a teacher, a friend – to make it easier for someone else to learn. That educationalizing process is an interesting one… that content is almost always contextualized to the context of the person who has done that. (an important point for imperialism later) And, of course, it is a resource… something in a big old pile that we can draw from when we need something. Any OER that gives knowledge on how to do something (like build a well) to someone who otherwise would never have access to this knowledge is a wonderful thing. If it helps people build safer cars, earthquake resistent houses, more environmentally friendly office spaces… anything I can point to and go ‘that thing’ I support it. This does not, I don’t think, extend to things like k-12 textbooks. The k12 sphere is not ‘pushing the limits of the advancement of our STEM knowledge’. They might, and that’d be really great, developing new kinds of curvy knowledge, but access to other people’s exclusive knowledge is not necessary for this. If really good free textbooks are needed, any number of organizations could get a bunch of teachers together to write one (and, indeed, this has been done) and then ‘MAKE IT FREE’. tahdah. This is where i jump ship. I took a cruise through a bunch of courses at one of the flagshipes of the OER movement MIT OpenCourseware (yes, i know some people don’t think this is really ‘open’) I found one in particular that I thought served as a nice example of what I’m talking about “Technologies for Creative Learning. I would call that course curvy knowledge, and no amount of brain research is going to convince me that ‘creative learning’ is a STEM subject… it’s curvy. I would challenge anyone (anyone really… if you’re there 🙂 ) to take a look at that syllabus and ask yourself if you would choose those particular articles… You might. I might not. It’s kinda neat to see what other people use in their courses… I’ve sent some of my own work to other colleagues and have really enjoyed reading their’s… this is a good thing. But. Is it important that this particular list came from MIT? Should it affect the choices that we make when we teach our own courses? How much of an affect will the prestige of the university have over other people’s approaches to curvy knowledge. One of my concerns, going forward, is the scale of the process. If, lets say, everyone published their syllabi publicly, along with all of their teaching resources… what happens then? Well, in one sense, we just have the internet all over again. There is no guarantee that because a course is being taught at a institution of higher learnign that the content is going to be good or even correct. More likely maybe, but no guarantee… you’ll find yourself wading in a see of content. This will, inevitably, lead to a number of folks offering to ‘guide people through the sea of content’ some will be free, some will charge and then you’ll have a new economy of people who are collating existing bits of content and/or knowledge into a compendium of things based on themes or categories… LETS CALL THEM TEXTBOOKS. The Myoops issue. MITs OER translated in Chinese. The five years I spent living in Asia gave me no end of examples of the reverance with which the American Uber Schools are seen. I have had students for whom the words ‘Harvard and MIT’ (and i do say word… em-ai-tee is a word, not an acronym) are the easiest to pronounce and use in a sentence like – “i want to go to Harvard”. In the places where ‘straight’ knowledge is actually straight, electrical engineering for instance, this is a really cool distribution of knowledge (At least, as far as I know, not being an electrical engineer). In the STEM subjects this offers any number of current and uptodate sources of knowledge that might otherwise be hidden or not there at all. But once things get curvy, the conversation gets more complicated. If the MIT edtech curriculum started being the default curriculum taught in even 10% of chinese universities this gives whatever professor is teaching that course ENORMOUS control over the direction of the industry… and not just in China. Image a course in ethics or social justice. You could argue, and some do, that this is the reason more people need to open their curriculum. I ask you… how will the majority of people be able to choose between the curriculum of a small town Nova Scotia university and Berkely. Easy. They’ll either choose the most famous or the one that they were already in agreement with. This does change the paradigm… I just wonder in what way. All curvy knowledge ends up being like this. For me the last of those list of five goals is of particular intersest. “growing open education as a field and a movement.” This is the part that I really care about… and particular ‘open education around curvy knowledge’. Getting people together to talk about the stuff they need to know… and come out with their own version of it. OERs might be important to this… and they might not… but i just can’t help but think that they will just end up being ‘the internet’ all over again. Who exactly will they serve I wonder? Author davePosted on February 22, 2009 February 22, 2009 Categories rhizomes, science in educationTags MIT open courseware, OER, rhizomatic education34 Comments on OERs shining light, new textbook model, or harbinger of a new imperialism. emphasize incentives for outputs (student achievement) rather than the inputs that we know matter, such as raising teacher educational expectations, helping students spend more time on task, engaging students in challenging material, providing students with frequent and positive feedback, and helping students learn to be strategic in reaching their goals. This is a critical difference for me. Focusing on the results of an activity sort of leave aside the process by which those results were achieved. I always think of the way calculus was taught to me. We never saw hide nor hair of a practical real world example of what made calculus so integral a part of the sciences. The work by which i ‘understood’ it, that is, could prove my mastery by doing problems had little or nothing to do with the way that those things might be achieved in an ‘applied’ way. Nor did I learn very much about how to learn something ‘like’ calculus for myself. I learned to remember a basic set of values, that did not really represent the base set that professional mathematicians would use, nor did it really make any contextualized sense to me. It was, in effect, an alienating activity. The Harvard University Civil Rights Project also sponsored an extensive study on test score gains during the first years of NCLB. Comparing fourth and eighth gradersâ€™ National Assessment of Educational Progress (NAEP) reading and mathematics achievement test results prior to NCLB (1990â€“2001) to its initiation through 2005, Lee (2006) finds that achievement did not significantly improve. Moreover, racial and socioeconomic achievement gaps between advantaged whites and disadvantaged students have not changed significantly. State tests, however, appear to show greater gains, which suggest several alternative hypotheses: The states may be setting the bar on their tests too low; NAEP may not be as good an instrument as state tests for assessing year-to-year progress; or students may have no incentive to do well on NAEP tests so that trying to equate the tests, even if one could make the test items comparable, would be biased in favor of exams that are incentive based (Loveless 2006). I particularly like the way this quote lays out some of the possible explanations for the results. It could be that they learned more, could be that the State reps have changed the rules to make the results look better. As anyone who regularly reads this blog knows… i’m not super fond of this kind of research. I think that it has its place among the strata that represent the work done in education. I think that a drastic increase in test scores related to class size would be significant. (Interestingly, this article sites research that shows it has little to no effect) It should not, however, carry the day on anything. Any test, or any research, no matter how ‘randomized’ is immediately ‘framed’ by the person who has defined the research questions. The common response to this is that there are ‘rules’ governing the framing of research questions that reduce the risk of this. I agree, some research questions are awful. Some less so. Some very interesting. The underlying assumption that truth is sitting there, waiting to be discovered, however, informs this kind of research. It assumes that THERE IS A PERFECT education system out there to be discovered. That there will be a solution if we look hard enough. This is highly unlikely. The unified educational theory that will support all students is a windmill, nothing more. It is an artifice that looks like universal education, and is mostly normative. It is designed by those in power, designed to serve the skills that those people value. This is not a statement about their intentions… just a necessary result of the way we are socialized. I think the things I think are important are important. You, likely, do the same. It is difficult, in a multicultural society, for that to work for everyone. 3. Few reforms receive continual support.